Most people like the idea of an advisor that has experience, been through the ups and downs of the market, and ultimately one that can relate to a retiree. What if I told you that considering hiring a younger advisor may hold some advantages you may have overlooked? Our world economy has changed since the 1980s and 1990s and so have the investment options. Value investing still serves its purpose. However new strategies and the range of different investments have only become more complex and dynamic. Younger professionals are finding unique ways to help their clients discover investment strategies that are not only suitable but that are also proven be effective. They tend to dive deeper and study at length how they can provide a stable retirement plan for their clients. Just as the principles of investing are ever-changing, so is the technology. In today’s world,we have access more information than ever before. The landscape of investing is rapidly evolving to become more efficient, effective, and competitive. Technology has created a universe that has surpassed the standard mutual fund and bond portfolio. Exchange Traded Funds, or ETFs, have created a completely new way to invest. Since 2000, assets committed to ETFs have grown by over 2,500%, compared to an increase of only 120% for mutual funds*. The future is bright for investing and the “technology vehicle” will rapidly discover new ways to produce more efficient, less expensive, and more stable ways to invest. When we think of someone who we trust with our finances, we often find similarities with someone we trust with our health. Someone who is wise, well-educated, and experienced is typically someone we would like to hire as an advisor.While this is a fair assumption,a question we overlook is, will that professional still be practicing when we need them the most? Chances are they may be nearing the end of their career, or might have already retired completely. Where is that person going to be when you approach retirement, the time that you are going to need them the most? The truth is you need someone who will be taking care of your retirement plan while you are enjoying retirement. 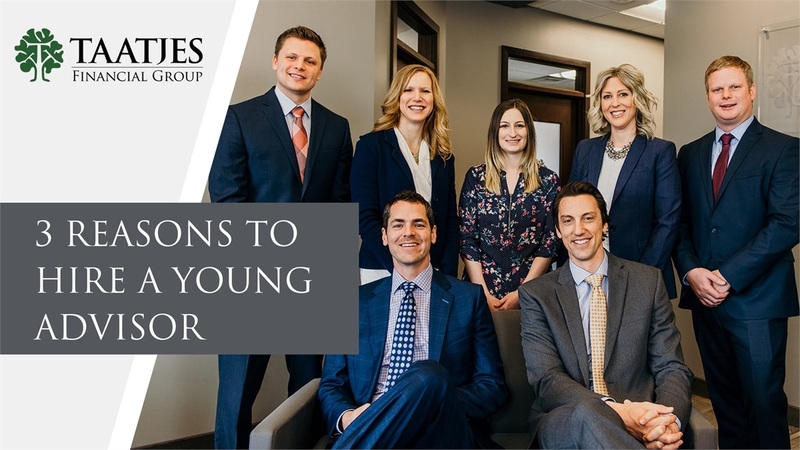 Just like having a doctor you know and trust, a young financial advisor could be that person you need the most during your retirement years.